Shows you the actual weather situation at a glance. Is there a better alternative to Weather Icon? Is Weather Icon really the best app in Reference category? Will Weather Icon work good on macOS 10.13.4? Weather Icon shows you the actual weather situation at a glance without having some annoying program running in the front. 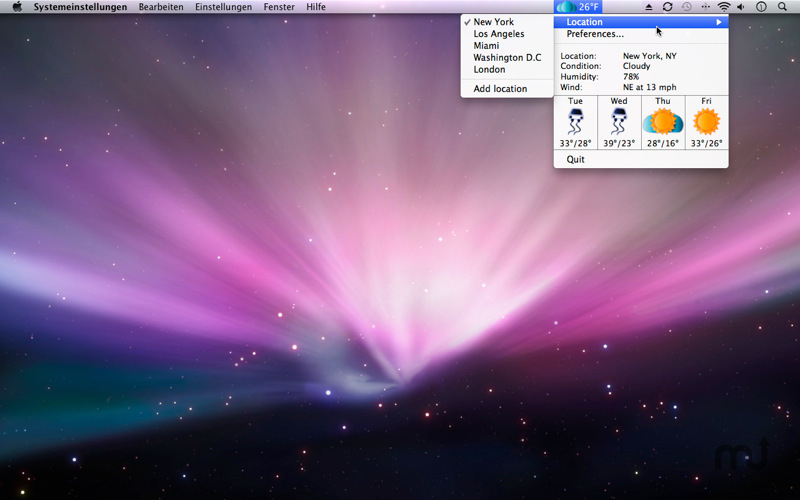 The weather icon is placed in the menu bar. Furthermore it is possible to add more than one place . Just with a few clicks you can also get this information. Weather Icon needs a review. Be the first to review this app and get the discussion started! Weather Icon needs a rating. Be the first to rate this app and get the discussion started!